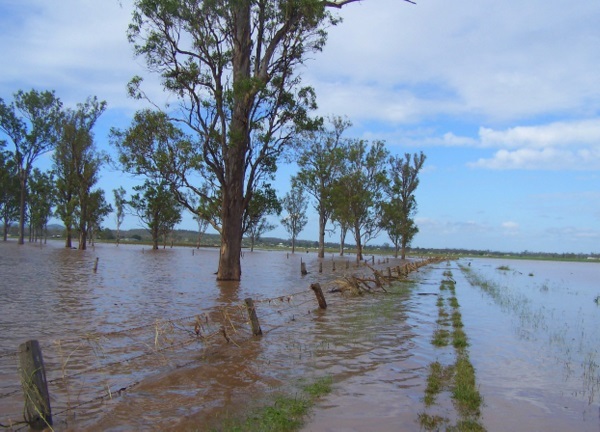 The recent anniversary of the floods that devastated many parts of rural Queensland and Brisbane got me, like many others, reflecting on the past twelve months. The images you see in this post were taken by a dear colleague of mine. 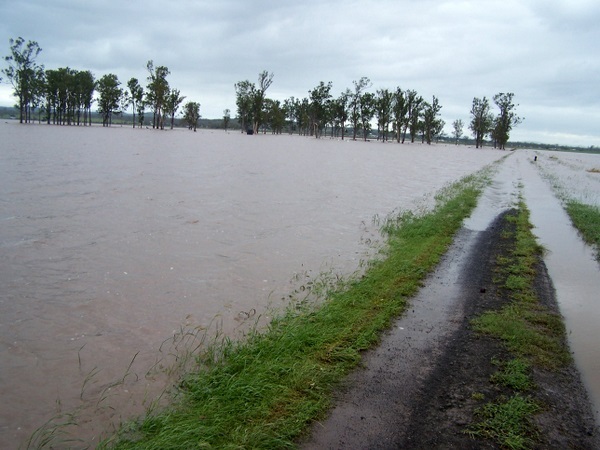 This is her farm in the Lockyer Valley. She and her husband produce vegetables and other crops for the domestic market. To me, Ann is an inspirational person, though she would never see it that way. She is typical of many women I’ve met, married to farmers. Ann works most days of the week as a Learning Enrichment teacher and spends most of the time left working on the family farm. You feel incredibly lazy just standing near her! But you can’t help but love her honesty and her beautiful ways. Sadly her farm was badly flooded last January. Ann and her mother in law were airlifted via Army helicopter out of Forest hill, a nearby town. 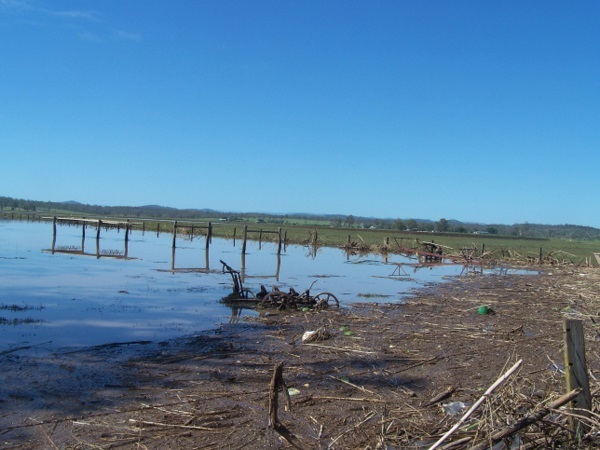 It was days before she could return home to view the devastation at home, a scene of submerged paddocks, broken fencing and debris washed along by the water. I can still see the anguish on Ann’s face whenever it would rain, because she knew it meant not being able to return home that day, or even a few more. You see the farm’s driveway was totally concealed by a thick layer of silt. Despite pushing much of it away by dozer, any rain would turn the road into a slippery and dangerously insurmountable hazard. It meant driving to Forest hill and staying there until the road dried enough to travel along. The first crop to be planted after all the devastation were cabbages, which Ann and her family were obligated to take, as an order of seedlings organised prior to the flood. The only viable land available was near the creek. Sadly, the soil was toxic from the flood, and the whole crop had to be dug back in. 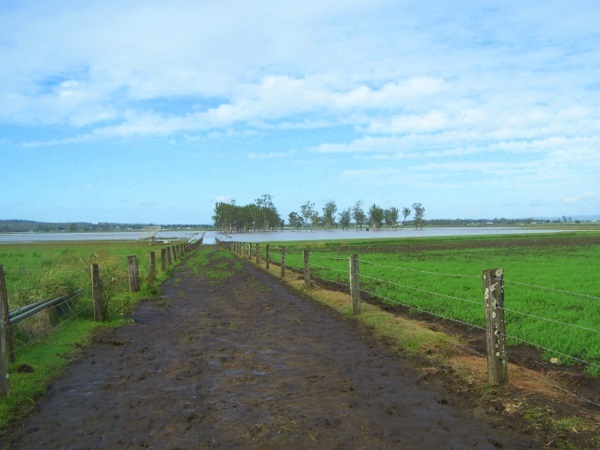 By August, most of the paddocks were able to be laser levelled, and cleared of massive layers of silt. It was a stressful time, as the window of opportunity for planting lucerne was disappearing, and it was a good crop to be sowing for a reasonable return. I’ll never forget shedding a tear or two for her over Ann’s elation at the first official crop of lucerne harvested in November, ensuring some income from the farm again. The next crop planted were pumpkins, which are just being harvested as I tell this tale. Ann’s story is certainly not peculiar to this region. 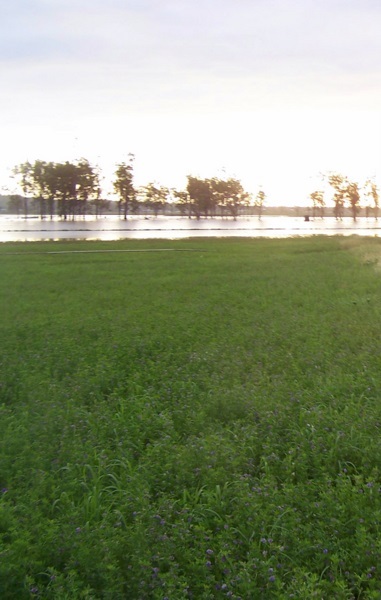 The floods of last year left many farms and towns devastated. There are still places where people have not been able to return to their homes, and many who are still living on the generosity of family and friends. There are lots of children who have virtually lost a year of schooling, due to upheaval to their lives. Fencing is slowly being restored and there are crops thriving all around. Roadworks can be seen in many places, restoring the surfaces scoured away by water. However, the vulnerabilty of many a livelyhood remains. I wish my dear friend a better year, as I do so many others in a multitude of regional areas and our capital. There is still much to be repaired, in the hearts and minds of folks,as well as the places they dwell and work. I would like to wish your friend Ann and those in a similar position a worry free, just enough rain, 2012. Thanks so much Lisa for making sure those that were effected are remembered & their story told as to what happens after the flood, when it doesn’t seem “news worthy” any more. Hope the pumpkins are a bumper crop, cheers to our Lockyer Valley Farmers! Hi Ann, I would be delighted to pass on your well wishes to this lovely lady. There are many good outcomes from the flood but I’m afraid it has taken a toll on many business’s already affected by the GFC. Like you, I say cheers to our Lockyer Valley farmers!